THEFACESHOP is a popular Korean beauty brand that has been around since 2003 and its products have made multiple appearances on here. I do have a love-hate relationship with their makeup and I personally find their sheet masks to be hit and miss too. 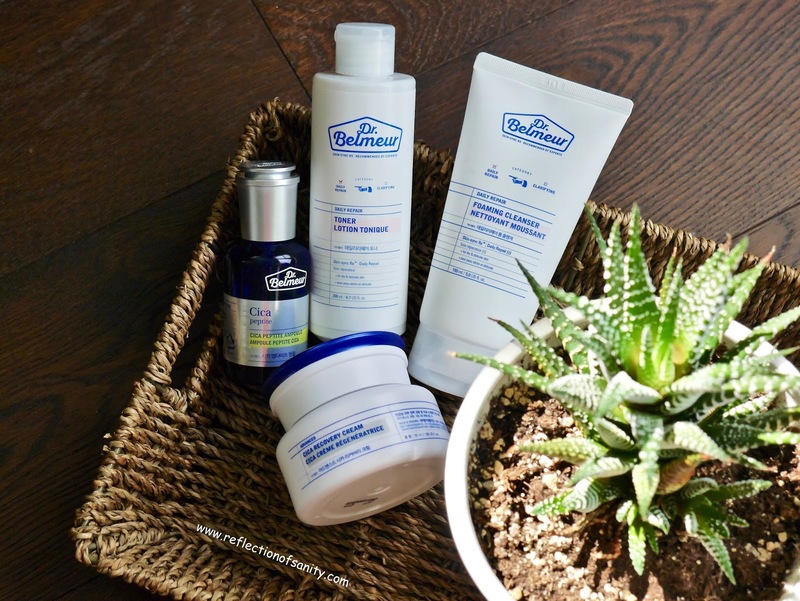 Personally, I find their stronghold is with skincare and today I'll be sharing my thoughts on a few products from one of their best sellers, Dr. Belmeur line. 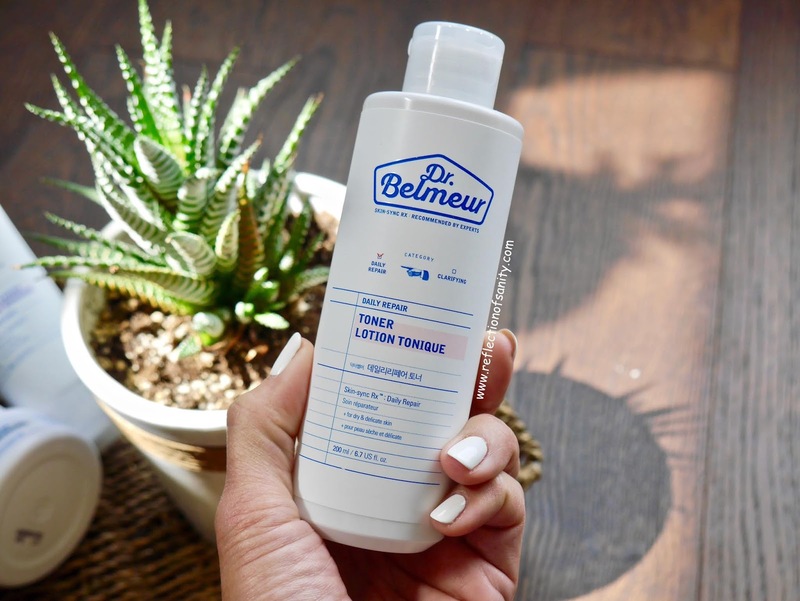 For those of you who are not familiar, Dr. Belmeur range is created with plant-based ingredients and concentrates on repairing, enhancing and strengthening the skin barrier while enhancing skin elasticity. They pride themselves for creating gentle skincare that helps nurture and improve skin's overall health. I was very kindly sent a few products from the Daily Repair and Cica Peptide range that are specifically meant to repair, soothe and hydrate the skin; Daily Repair Foaming Cleanser*, Daily Repair Toner*, Cica Peptide Ampoule* and Cica Recovery Cream*. The cleanser pleasantly surprised me. I thought it would be a rich, creamy cream but it's actually a lightweight clear gel and it foams up beautifully. Foam cleansers usually dry out my skin but this did anything but that. I love using it with my Foreo, it's gentle on my skin, doesn't dry it out but a powerhouse in removing all the crap off my face. Repurchase? Yes, yes, 100% yes and it's only $19.00CAD for a massive 150mL! I also think this suits all skin types. I have been looking for a link for this toner but so far no luck in finding it and I am so worried that it's being discontinued. It's by far one of the best hydrating and soothing toner that I have ever tried. It has a thicker more occlusive texture and I use it with a cotton pad. I first used it when my skin was having a bad reaction from a product and I could instantly feel the cooling and soothing sensation. 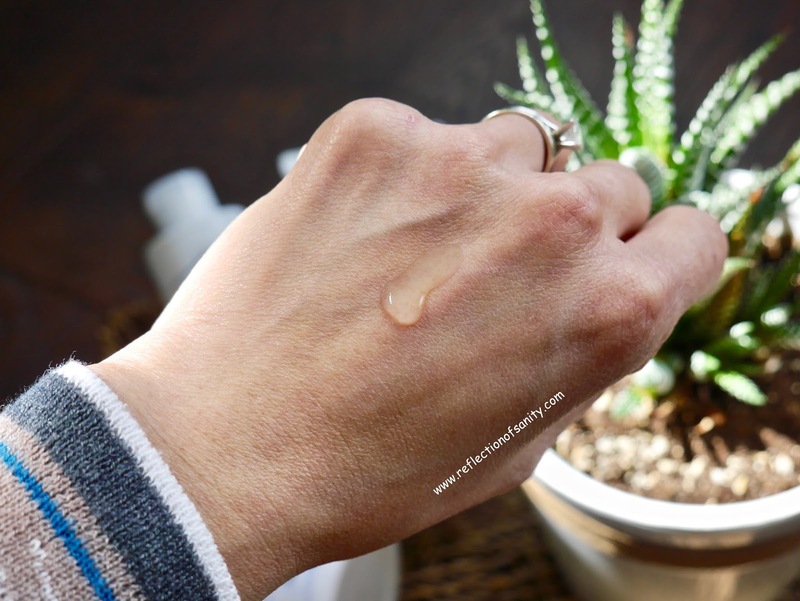 The ingredient list is short is filled with soothing botanical extracts and my skin just adores it. Repurchase? Yes, if I can find it! My skin just drinks it up! 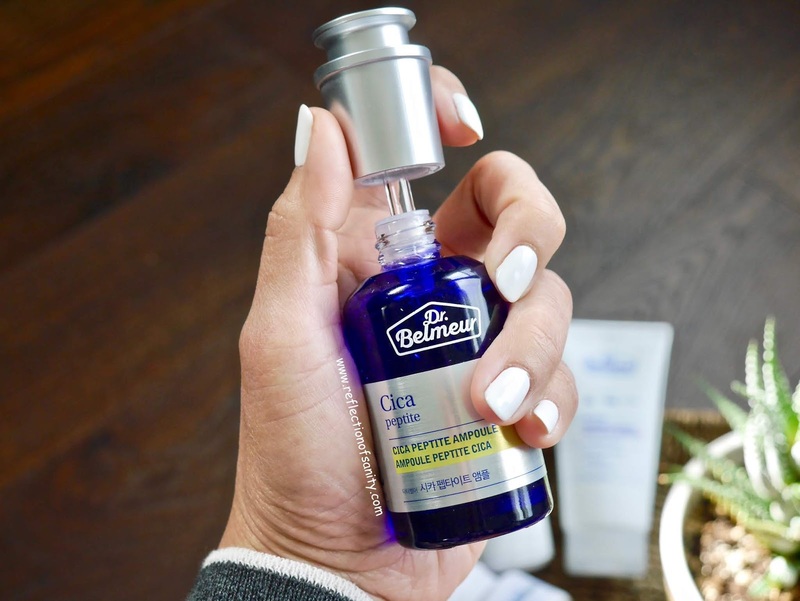 I love, love, so head over heels in love with Cica Peptide Ampoule*. It's definitely a holy grail status for me and I use it every single day, sometimes twice a day. Forget all my other toners, this is the one and only. It's made with ingredients extracted from Centella Asiatica and contains peptide complex and botanical extracts. I don't know how to explain why I adore this ampoule so much but I feel my skin looks so much brighter, smoother and healthier. I miss this whenever I don't use it. Maybe it's a placebo effect but I truly swear by this. Repurchase? Yes! I don't ever want to be without this ever again. 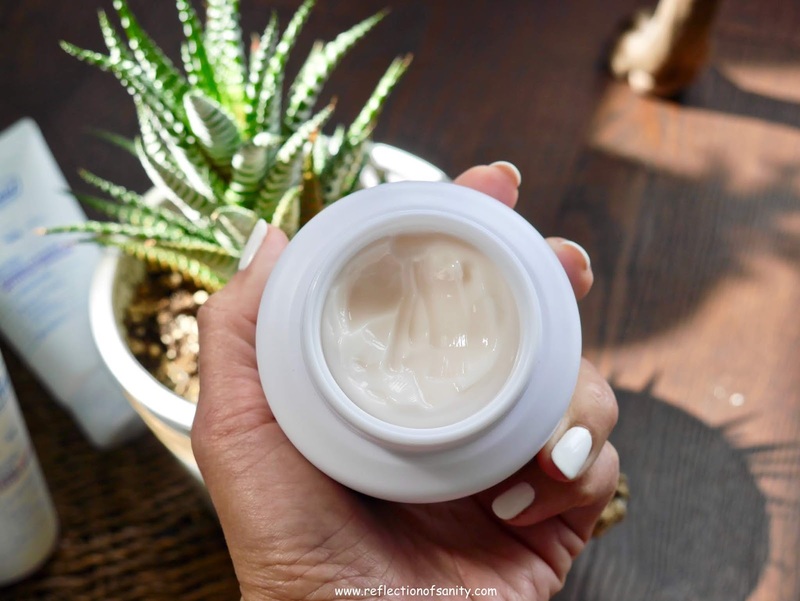 Last but not least, I have Cica Recovery Cream* which is a lightweight moisturizer that nourishes, soothes and hydrates my skin without leaving any greasiness. This was heaven sent especially this winter which was the longest and coldest that I have ever experienced. It protected my skin from the cold, preventing dryness and actually soothes and healed a few eczema around my forehead which popped up no thanks to the cold. It's also scentless so if you are sensitive to scent, this would be amazing for you. I do suggest this moisturizer only for dry to combination skin as it will be too heavy for oily skin lovelies. 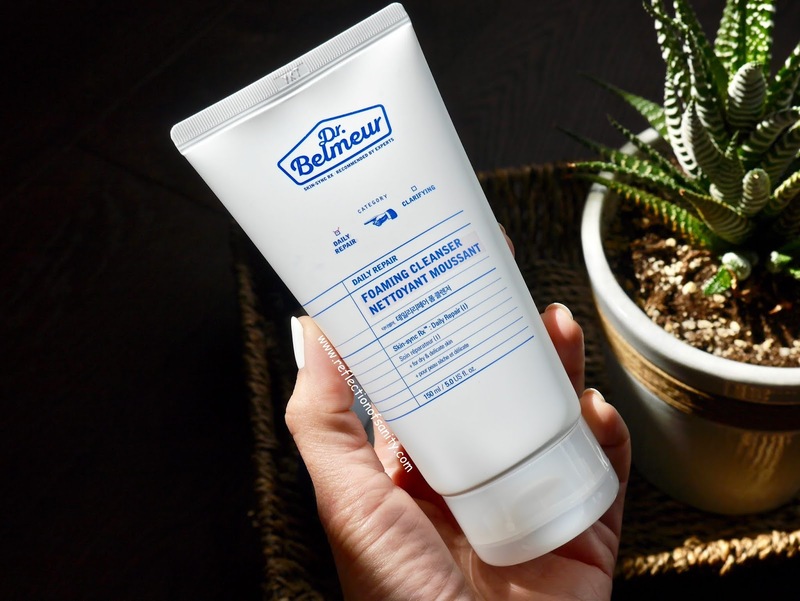 Dr. Belmeur does have one made specifically for oily and acne prone skin so check that out instead. Long story short, Dr. Belmeur range turned out to be a huge winner for me. My skin reacts really well to all the products and I can clearly notice its overall radiance and health is so much better. If you have a sensitive, dry and dehydrated skin then I highly recommend checking out this range. Your skin will thank you....and me.